Yes! You can choose to refine your Alerts, Rules, and Bulk Actions to include or exclude specific LinkedIn ads by ad name, headline, and description text. 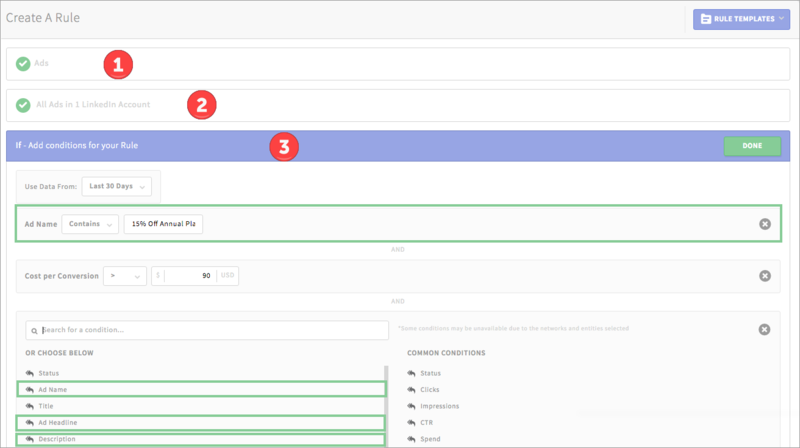 Benefits: Target your sponsored content in bulk to easily include/exclude them in new or existing tasks. 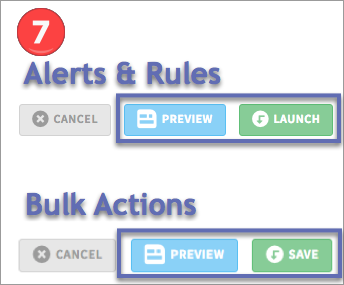 Monitor your Ad's progress with Alerts or optimize them with Rules and Bulk Actions at scale. you can choose to include or exclude ads based on ad name, headline, or description text by selecting 'Contains' or 'Does not Contain' in the dropdown. 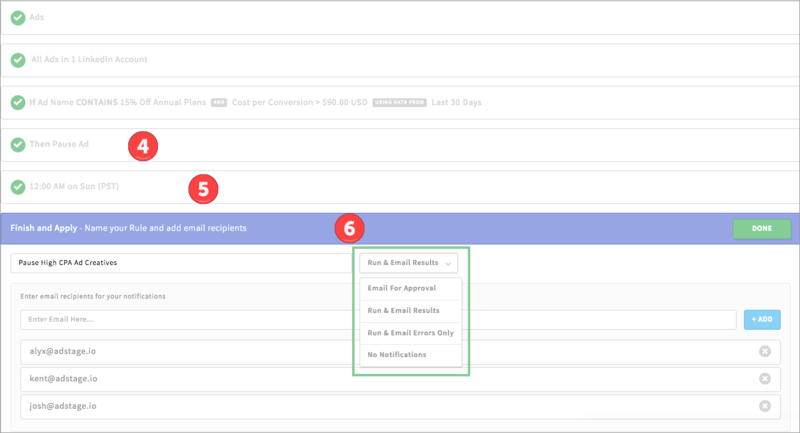 Note: you can use Ad Name, Headline, and Description as conditions in Alerts, Bulk Actions, and Rules (not supported in Scheduling and Rotations). Need some inspiration to get started with ad names, headlines, or descriptions? Or if you're ready to dive right in, head over to Automate to start optimizing your LinkedIn ad performance! Have questions about Automate? Please feel free to contact us at support@adstage.io.